It all began with a frame. Just a simple frame. I liked the shape. It fit the naked wall I happened to have at my disposal . . . and so this project began. Now I just had to figure out what the heck I would put inside it. I took the shabby piece of cardboard the fit the frame, and covered it with some lovely black contact paper I happened to have lying around. THEN, I found my unreasonably large store of lace. As I laid the lace out, I realized how truly lovely this might wind up looking! 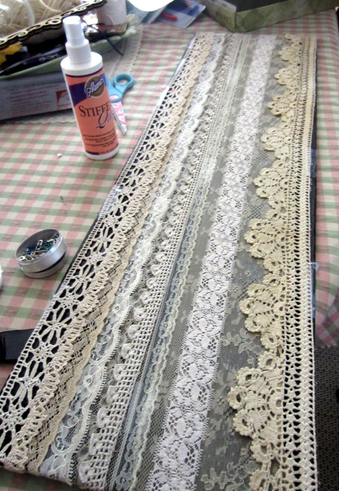 I overlaid the different pieces of lace, using the occasional piece of tape to attach it firmly in place. After it was all settled, I used some fabric stiffener to spray it all down and keep it from getting all bent out of shape! 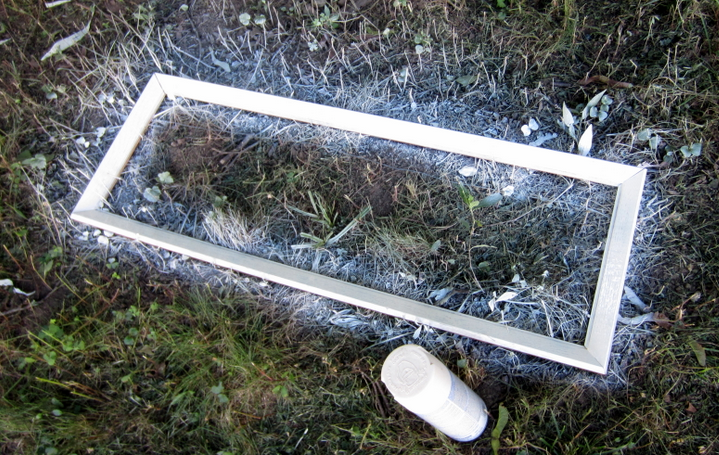 Once that was dry, all it took was a little maneuvering, I put it in the frame, and hung it on the wall! The effect was just what I wanted, so pretty! 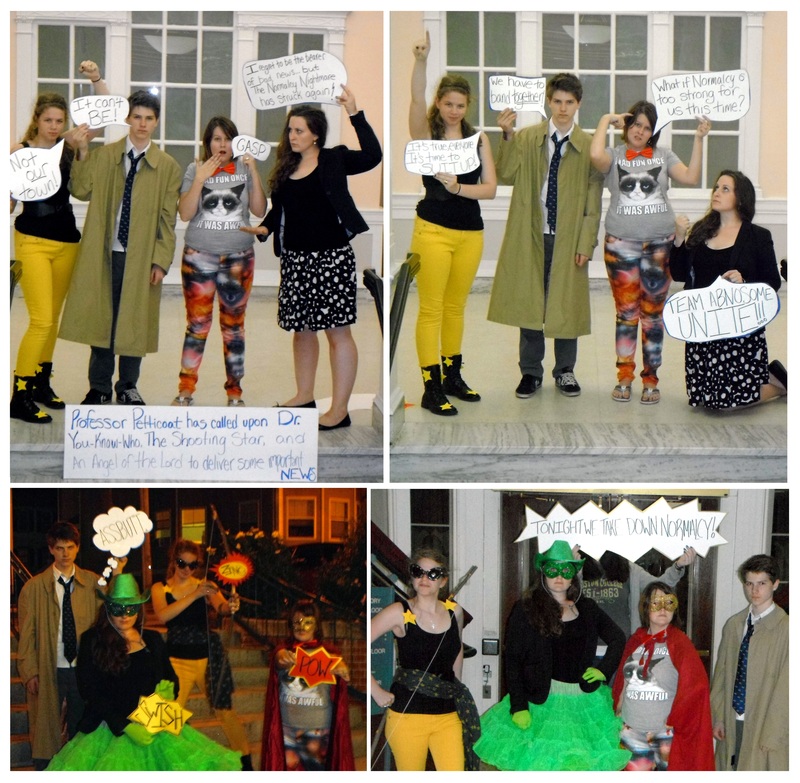 It’s been a few weeks since I’ve posted some of my adventures, which grad school, teacher back-to-school, and GISHWHES will do to you. But fear not, I’ve still had adventures aplenty. 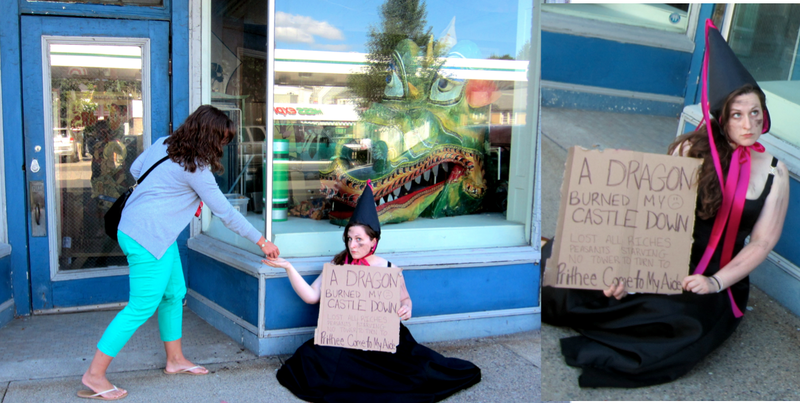 GISHWHES, which stands for The Greatest International Scavenger Hunt the World Has Ever Seen, was a magical experience. One week, 156 crazy items to scavenge photos/videos for . . . 2.) Create a dynamic, documentary short film exposing little-known facts about your hometown (two minute video). 3.) Go to work dressed as a robot. We must see clips of you getting ready in the morning, commuting, and arriving at work and doing your job. 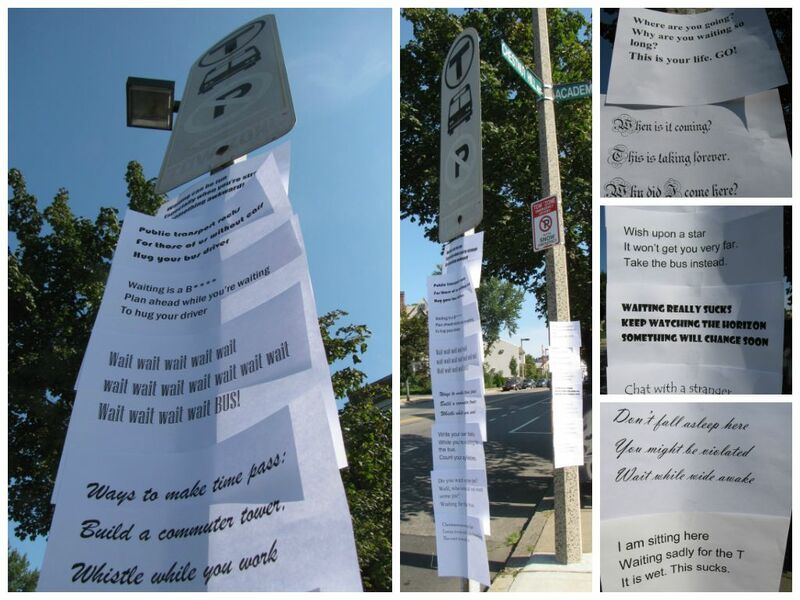 We must also see the reactions of people you pass on your commute and/or at work. 4.) Get your team’s new ice cream flavor on sale in an ice cream parlor. The new flavor must have a catchy new name and must be a combination of ingredients that we (the judges) have never before heard of in an ice cream. The ice cream shop employee must tell a customer what is in your ice cream and the customer must sample your new flavor. 5.) Find an example of someone who engages in sustained generosity in your community and then do something nice for them. In the video, you must describe what the person does for their community, and then show what your kind gesture toward them is. 6.) 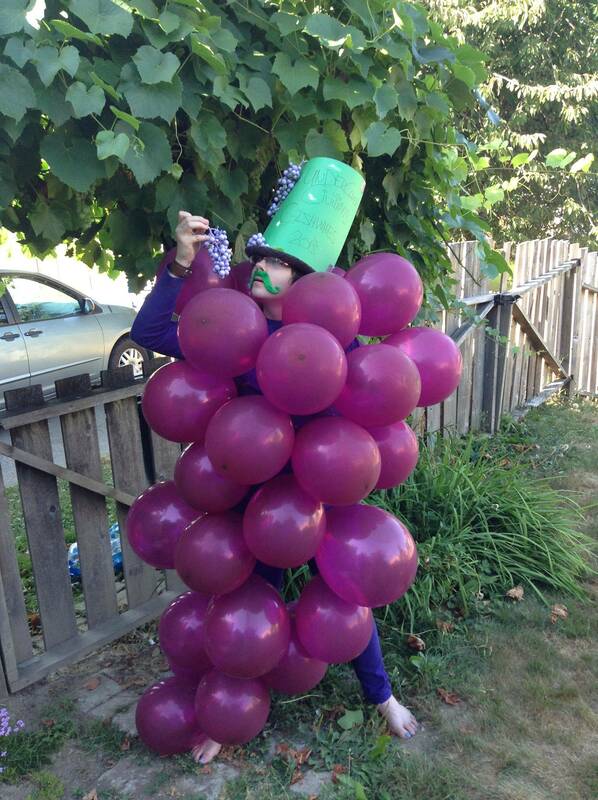 A preacher in church condemning GISHWHES and GISHWHESHEANS. 7.) A university professor giving a technical explanation of why the telegraph will inevitably be making a comeback. 8.) Find a dog named, “Castiel.” Call it. Have it come when called. 9. )Write a haiku about waiting. Post it (no graffiti!) at a bus stop. 11.) 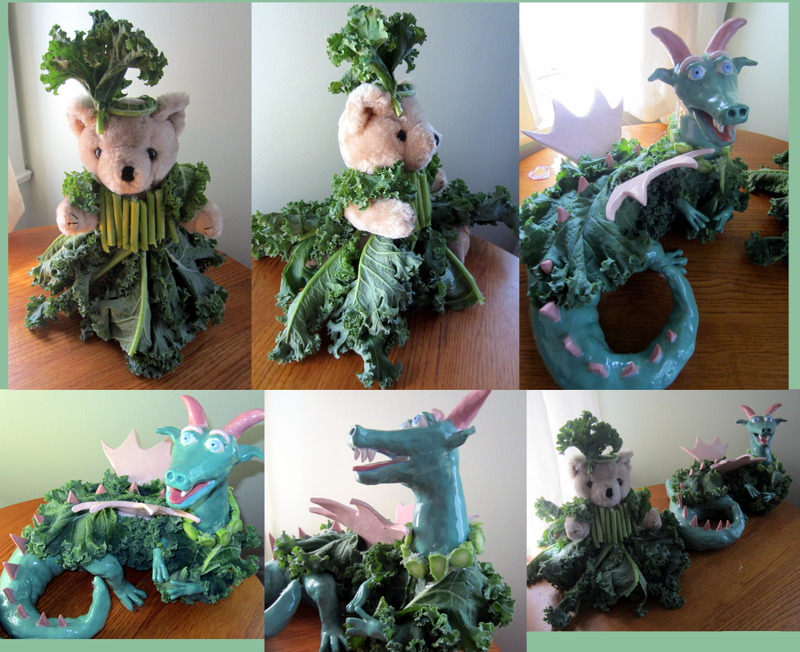 Bear and Dragon clothing made from Kale. 12.) 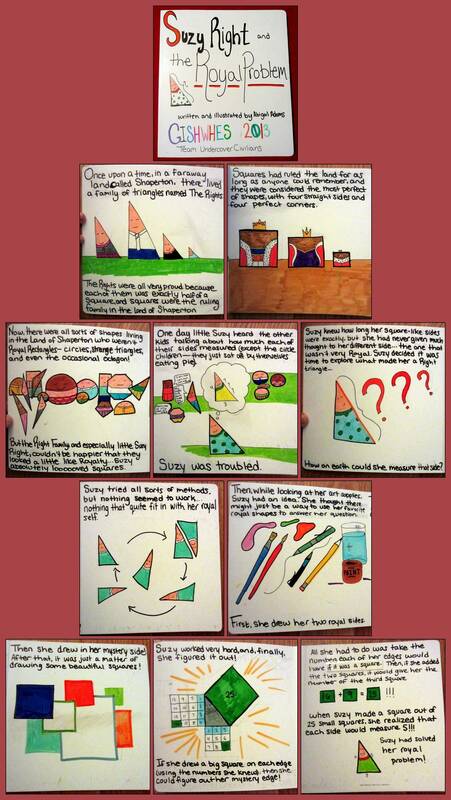 Make a picture book for preschoolers explaining the Pythagorean theorem. 13.) You are what you eat. Prove it. 14.) 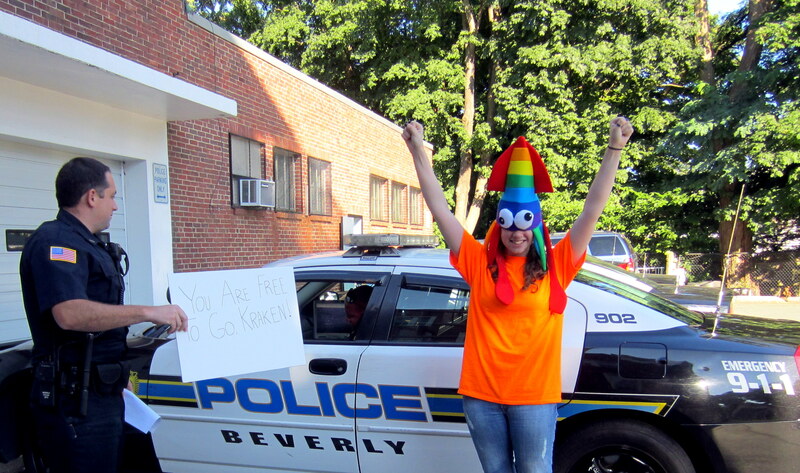 If Gishwhes were a moving or shipping company, what would its slogan be? Let’s see the slogan on the side of an 18-wheeler. Letters must be at least 3 feet in height. No illegal graffiti allowed! You must have permission from the owner of the truck and we must see the entire truck in the image. 15.) 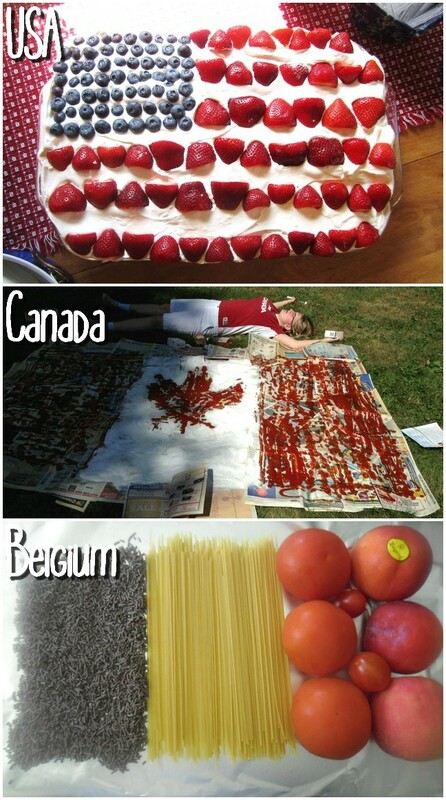 Make your country’s flag from food or food packaging. 16.) 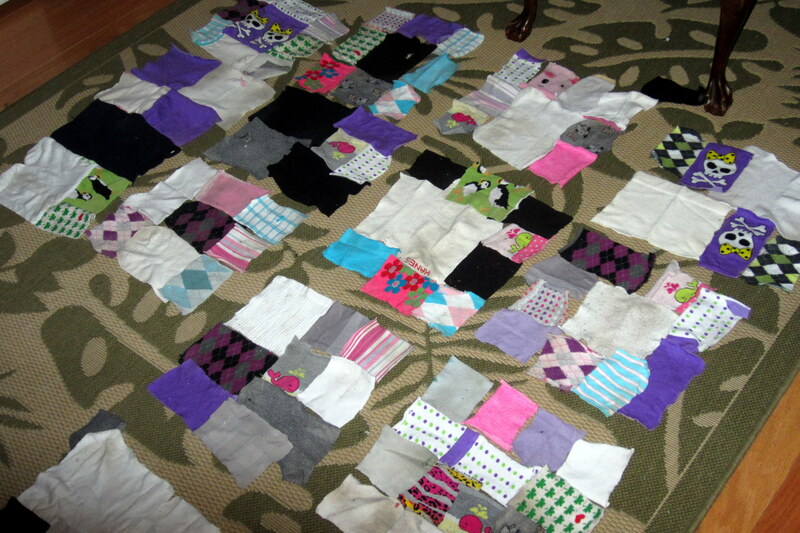 Make a cozy quilt from old dirty socks. Snuggle up in it alone or with your best friend. 17.) 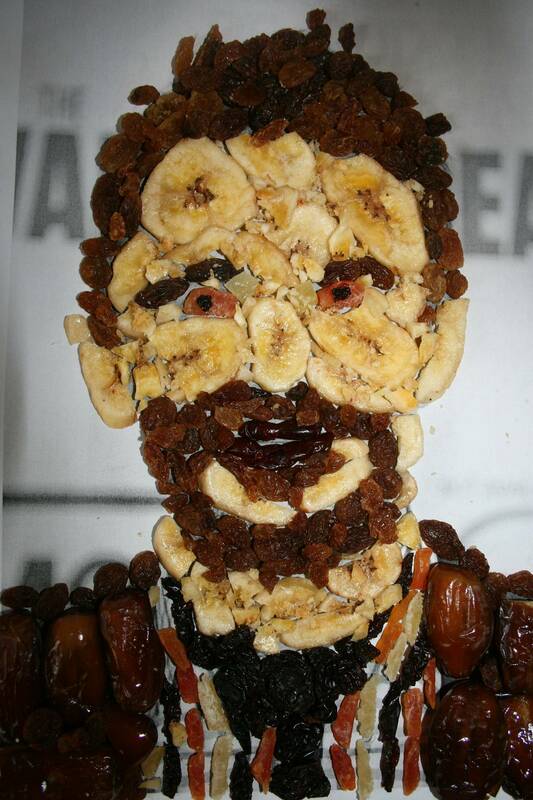 Let’s see a portrait of Chris Hardwick from the Nerdist.com made from dried fruit. 18.) 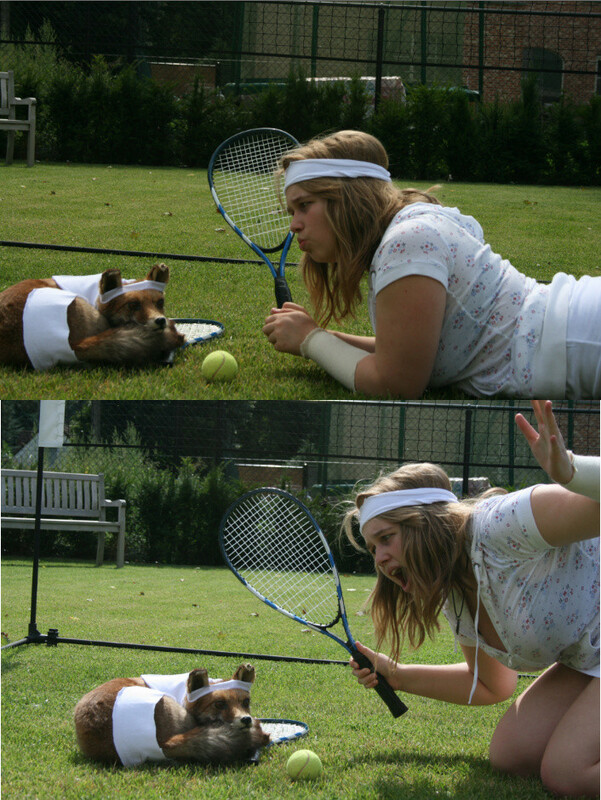 Taxidermy animals dressed for and playing or doing one of the following: roller derby, doubles tennis in whites, a 4-some of golfers (must be traditionally dressed with knickers), cricket players in whites, disco dancing (in 70s disco clothes), synchronized swimming (with nose clips), or a karate class (black belts). 19. 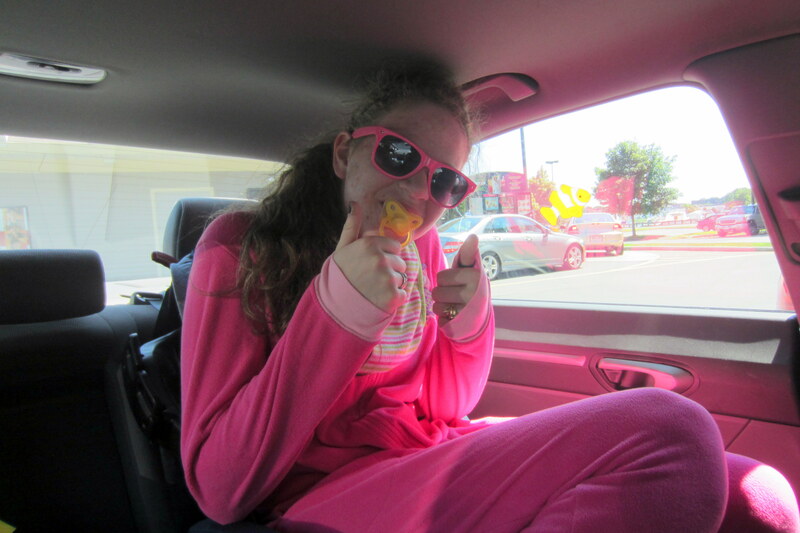 )Go through a fast food drive-through with an adult dressed as a baby in a car seat in the back. The adult must have a pacifier in his or her mouth and must be pre-verbal. 21.) Mexico is famous for the perfect desert: the churro. We know churros are delicious, but what else are they good for? 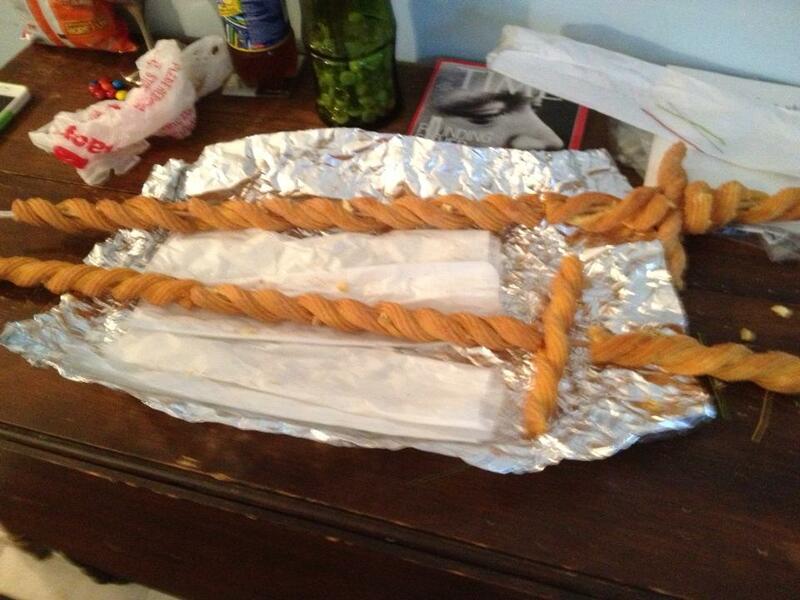 Improve on perfection by modifying a churro to serve an alternate non-food purpose. 22. )A fully dressed nun in her habit going down a waterslide or swinging on a rope into a river. 24.) 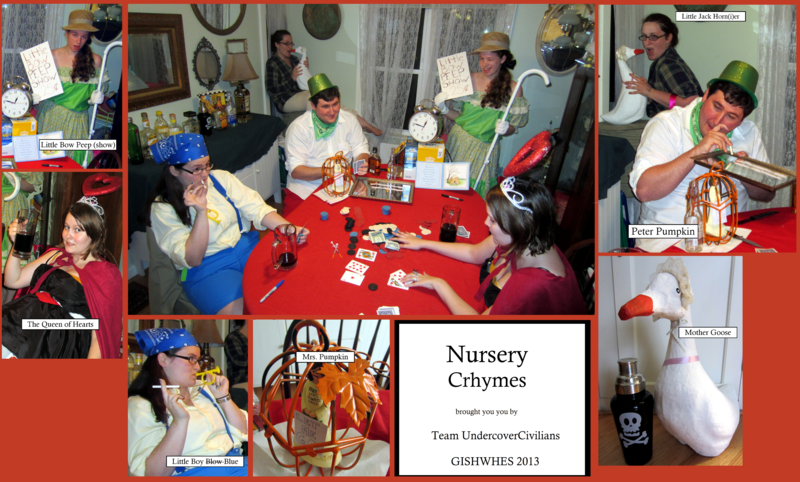 Little Jack Horner, Little Bo Peep, Peter Pumpkin, Little Boy Blue and the Queen of Hearts at a late-night vice-ridden poker game. 25.) 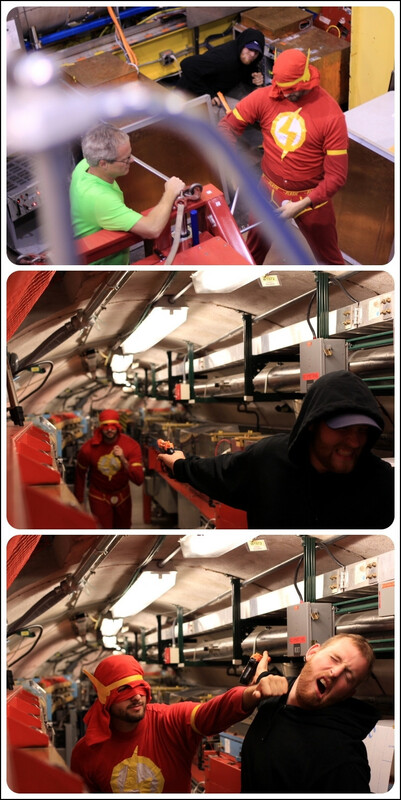 You, dressed as The Flash in the LHC (Large Hadron Collider) tunnel. If this is too difficult, you will get full credit for dressing as The Flash in any actual, operational particle accelerator. 26.) Shoot a real life comic book page. In other words, shoot 4 photographs of something that looks like it would be in a comic book or graphic novel and arrange the photos like panels onto one page. This must be an original story with original characters and it must be staged, not photoshopped. You have to figure out how to make the thought or dialogue bubbles and lettering during the shoot. 27.) What would a teddy bear hostage situation look like? 28.) 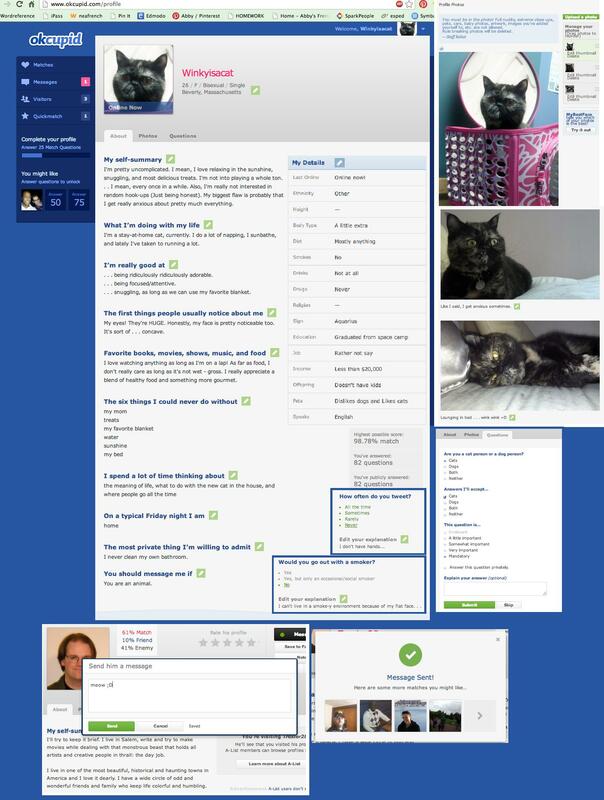 Create an online dating profile for your pet on a real dating site. 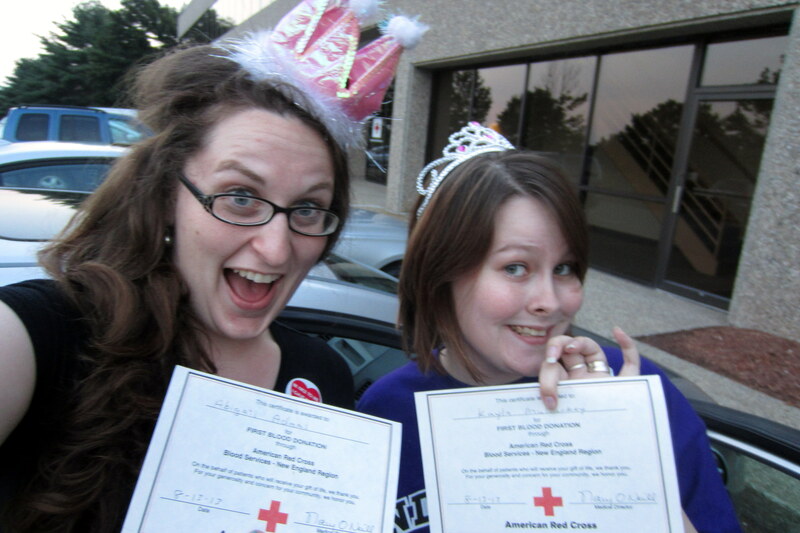 Let’s see you and a friend, side-by-side, donating blood or platelets. 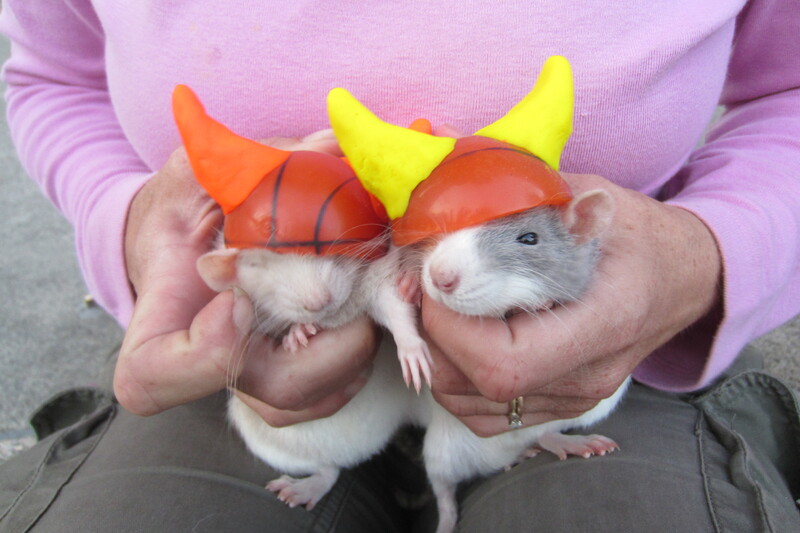 Wear something festive on your head to commemorate the occasion. 30.) 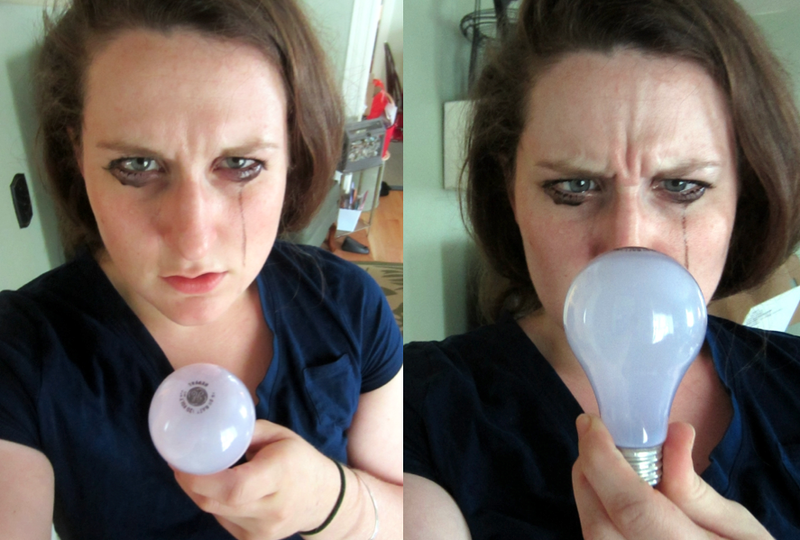 Rage against the dying of the light. And there were so many more!!! Yeah, that’s right! Abnormal in an AWESOME kind of way!!! 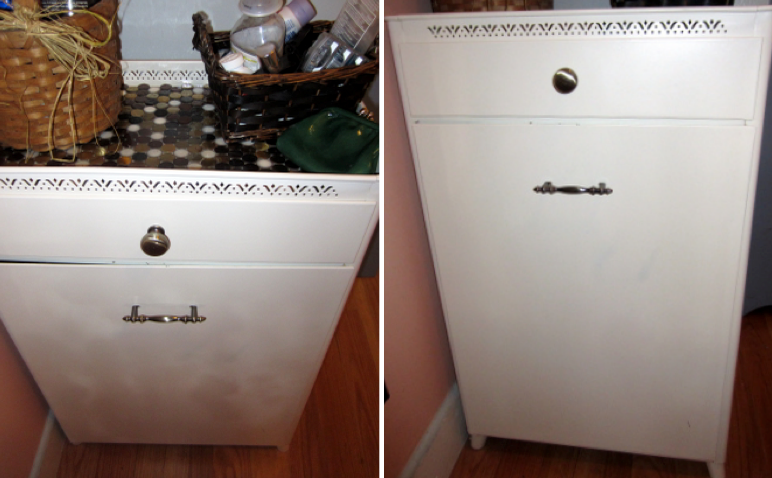 I bought an old hamper, because I thought it might fit in just the right spot in my apartment – which it does! It’s made of metal, and I think the design is cute . 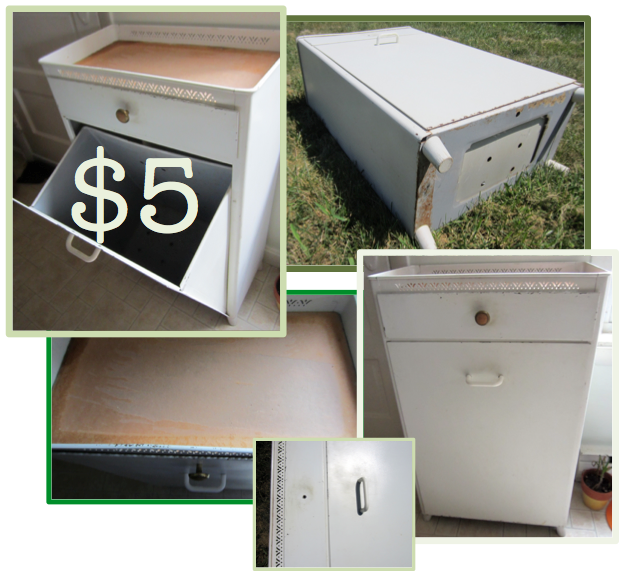 . . plus, for $5? Where can you go wrong, am I right? But how to keep them in place? Nobody wants loose tile floating around their hamper. If it ever fell over it’d be a huge mess. 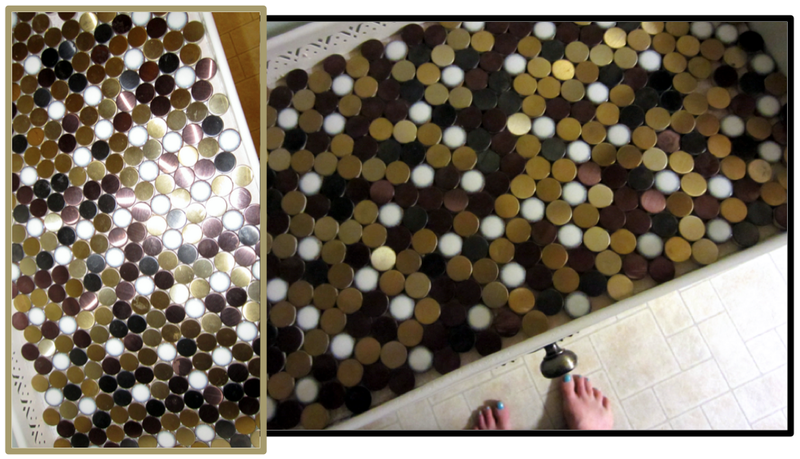 Unfortunately, I sort of decided that I’m afraid of grout. Grout-phobia. It’s a terrible thing. SO, I decided to try Resin for the first time. I got myself some “Parks” super glaze (also from Home Depot, and recycled my Starbucks cups into measuring containers. Just so you know, when people say Resin has a strong smell, they aren’t kidding. . . the stuff is POTENT! Basically pretty easy to use, though, you just mix and pour. . . and if you don’t want your cat to get resined into your cute little table-top, you might also plan to cover it while it sets! 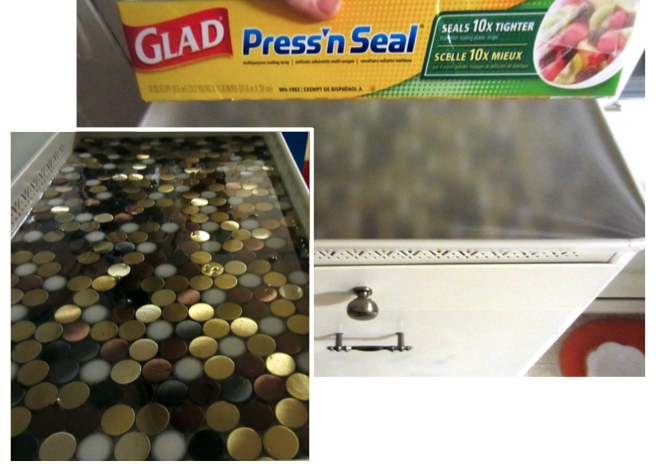 I recommend Glad Press’n Seal, which you can find at any old grocery store! 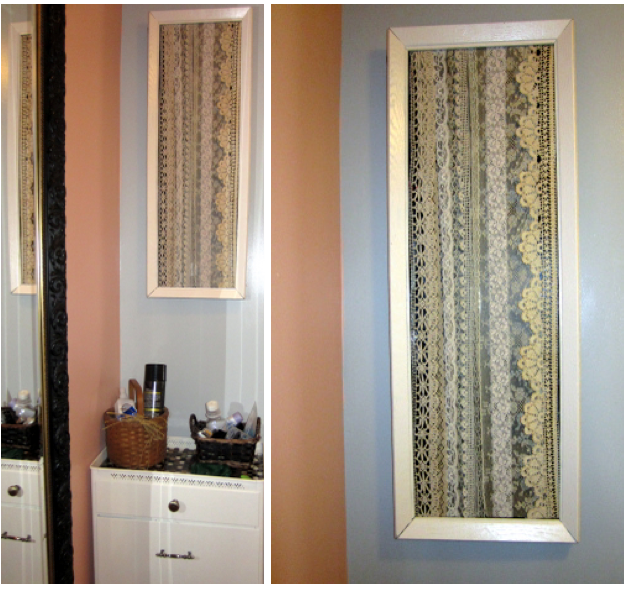 I’m pretty pleased with the results, and I love the new hallway hamper! 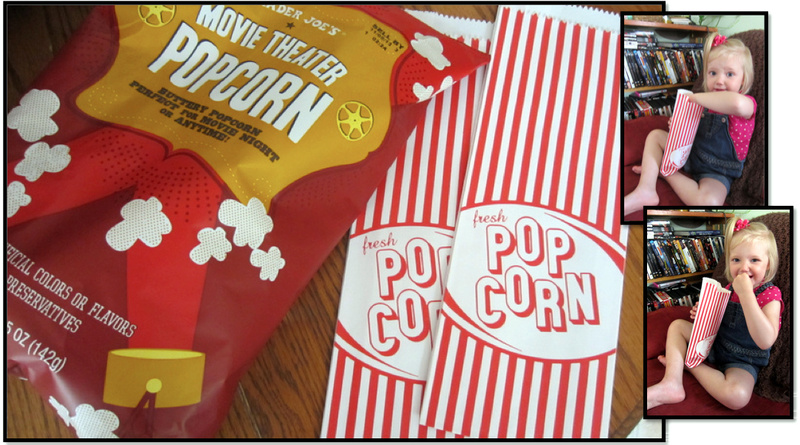 I highly recommend making your own mini movie-theater event, especially if you have a popcorn-obsessed 3 year old in your life – it’s a fun rainy-day activity!!! While visiting home, we realized that, but for two segments, the whole family was present. Taking a family portrait without them would feel just . . . wrong. 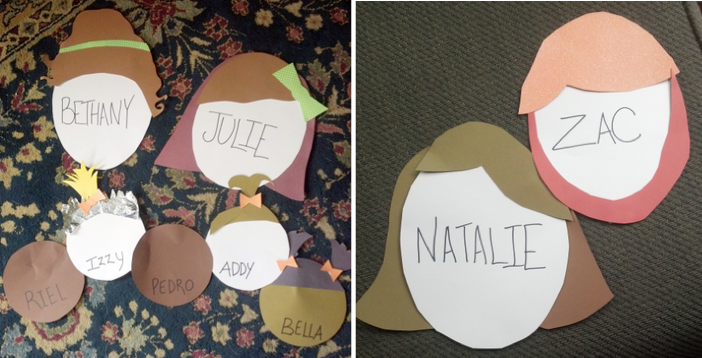 SO, putting my I-was-once-homeschooled skills to work, I came up with some stand-ins.